Big POMO-day, at least according to the current schedule. Right now there is a bit of confusion in the market. 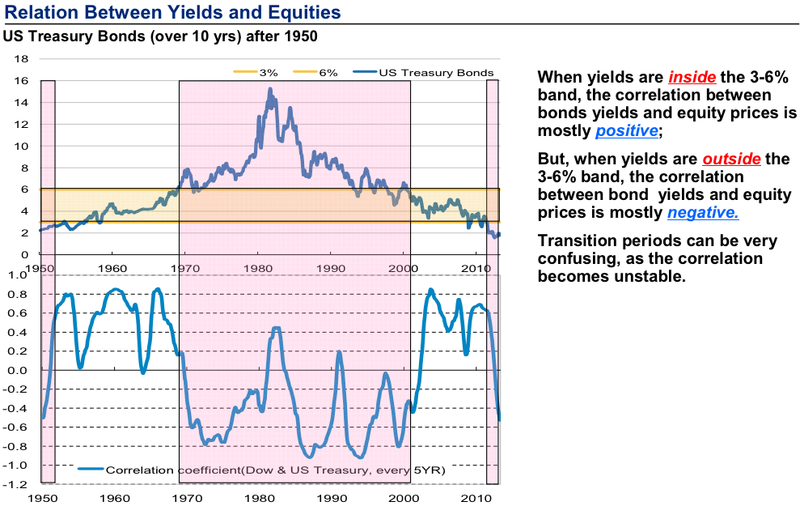 There is a lot of focus on the relationship between the Bond and the Equities market. 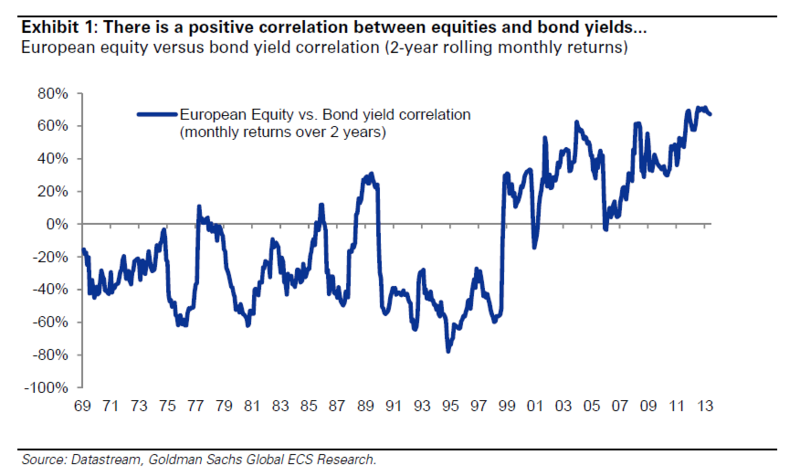 Bond and Equity correlations are flipping from negative to positive, or back and forth. 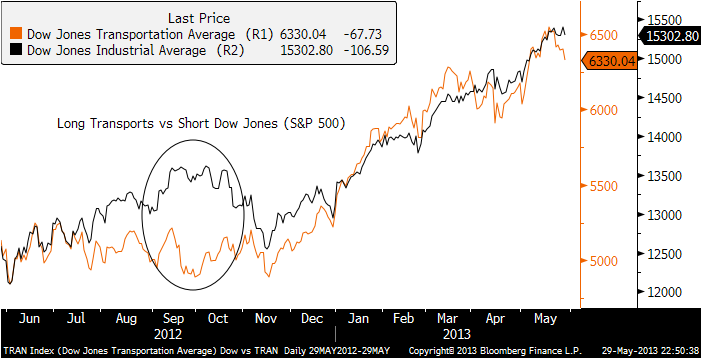 Morgan Stanley referes to it as a “transition phase”. Historically, when the 10-year bond yields fall below 3 % for an extended period of time, stocks and bond yields tend to go in opposite directions. That’s more or less been the status quo during the past few years of sub-3 % 10-year yields. How to create value, wealth. It’s easy, just kill the Yen. The entire stock market is set in motion on the basis on what happens in the currency market. 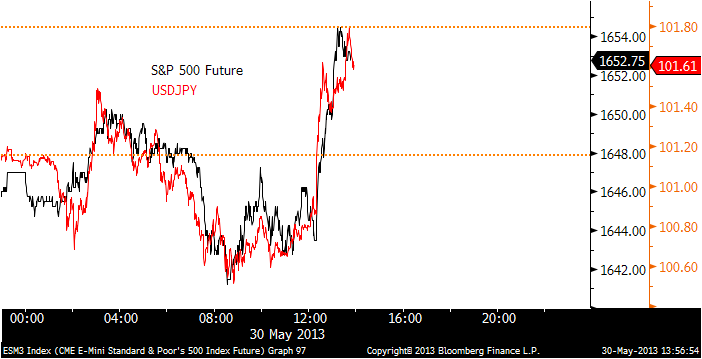 The “Risk on Risk off” factor right now is definitely the USDJPY. 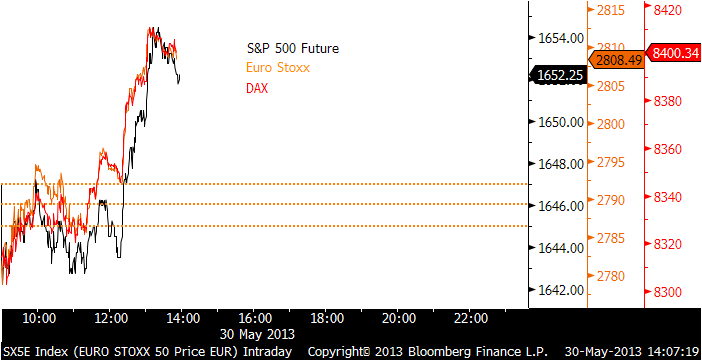 And where the U.S. goes, Europe follows. The expanation for the move; a story in Reuters about Japan and Japan’s big pension fund being able to move into equities. Moving from JGBs (Japanese Government Bonds) to equities. Goldman themselves stated that “Inflation has decelerated markedly across the world in the last couple of months”. I don’t see that as a sign of stronger growth. If you’ve driven down interest rates to artificially low levels for an extended period of time, and then start talking about tappering, then I think something is bound to happen sooner or later. Paul Krugnman: “…..falling bond prices accompanied by rising stocks and a rising dollar. So this looks like a story about macroeconomic optimism.” Is weakening manufacturing data and weakening inflation also a sign of macroeconomic optimism? It’s usually said that, as Transports go, so goes the rest of the market. Transporting companies are the first to notice and report any change in the underlying economy. Personally, I’m a firm believer that this rally is liquidity driven. Regardless, it is important to keep an eye on developments and once again Transports are starting to underperform the broader index. Another warning sign is that High Yield has turned south. It has happened before but it’s still a warning sign that something may be changing. That the market upswing is entering another or a new phase. 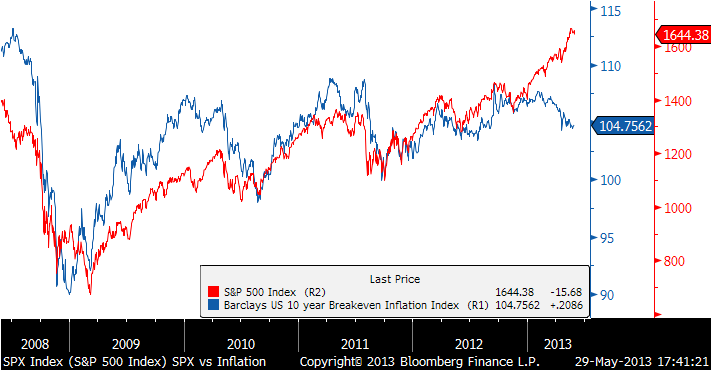 Inflation expectations are not developing in line with the equity market. If the actual recovery really was strong, self-propelled, wouldn’t inflation expectations be higher? Are we heading for deflation? Inflation has decelerated markedly across the world in the last couple of months. And if inflation falls, especially core inflation, what does that say about the health of aggregate demand.